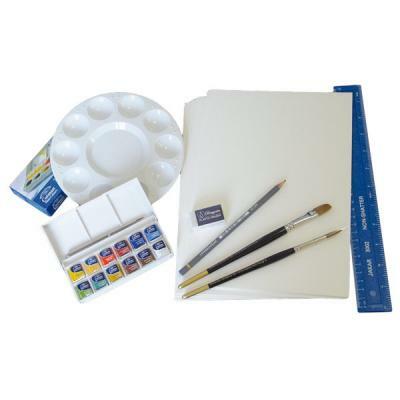 This new starter pack has been assembled for a beginner to start watercolour painting. The kit contains everything needed to get started with quality equipment and at greatly reduced price. It would make a great gift for anyone interested in starting in watercolours. Also available with an Avon desktop easel. • 1 x Prolene Series 106 Flat 1/2"